CREATE this week released our Youth Justice Report, where we talked to young people with a care experience about their contact with police, courts and youth detention facilities. Many young people spoke about how disrespected and anxious they felt when interacting with the justice system, especially when they lacked support. CREATE Young Consultant Ash talked to us about his experiences with youth justice, how important it is to have support to get back on the right track, and his dreams of working as a police officer to make a difference for young people like him. I’ve dealt with the police on a couple of occasions – violence, theft, running away. I’d get into a fight at school and someone would want to press charges and then my Child Safety Officer would come to the school and talk to their parents. Sometimes I’d get in a bad mood and trash the classroom. I’d do silly things because I was frustrated and didn’t know how to handle my emotions. I had no one taking the time to ask what was going on, they were just telling me what not to do but not asking how to help me. Young people in out-of-home care can also feel angry and frustrated, and act out when they feel like no one understands them. When caseworkers and foster carers have competing demands, sometimes young people can feel like no one cares about them, and therefore don’t know where to go when they need help to manage their emotions. Ash describes the key moment he decided to turn his life around, because of a youth justice worker taking the time to understand why Ash was feeling angry, and reminding him he had the capability within himself to take control of his life and achieve his goals. No one had the time to ask why I was angry. They always said ‘You can’t do that, you can’t get into fights.’ They told me what I couldn’t do, but didn’t tell me what else to do. Until one day a youth worker came out to my school after I lost my cool real bad and bashed someone. They sat me down, and asked ‘Why?’ I didn’t know what to say. No one had asked me that before. They took five minutes to listen me, get to know me… He asked me what I wanted to do with my life. He said ‘you’re the only one who can help you achieve your goals.’ He spoke to me as a person, not just as another case. After this I started studying harder, getting better grades, caring more about doing better with my life. That’s all it takes for every kid. To take that five minutes, sit down with them and be there to listen. Ash believes that police officers could improve the way they approach young people with a care experience who end up coming into contact with the youth justice system. Again, Ash reiterates the importance of listening to the young person about what they need to get back on track. If you don’t trust this person you won’t talk to them. And without knowing what a young person needs, how can anyone help them? The only person who can tell you what they need is the young person themselves. Ash now wants to work as a police officer and use his experiences to help young people with a care experience who find themselves coming into contact with the youth justice system. I want to be a regular police officer and go through all the training but ultimately I want to be a liaison officer and still work with CREATE. I look at my situation and think about how I would handle it if I was that police officer, booking the same kid six times a year. I would take him out to lunch and ask ‘What’s going on?’ I have been in a dark place as a lot of foster kids have been- you feel like there’s no hope and there’s no one pushing you forward and helping you look at all your options. Ultimately young people need people to believe in them, but also be willing to stand up and help them reach their goals. 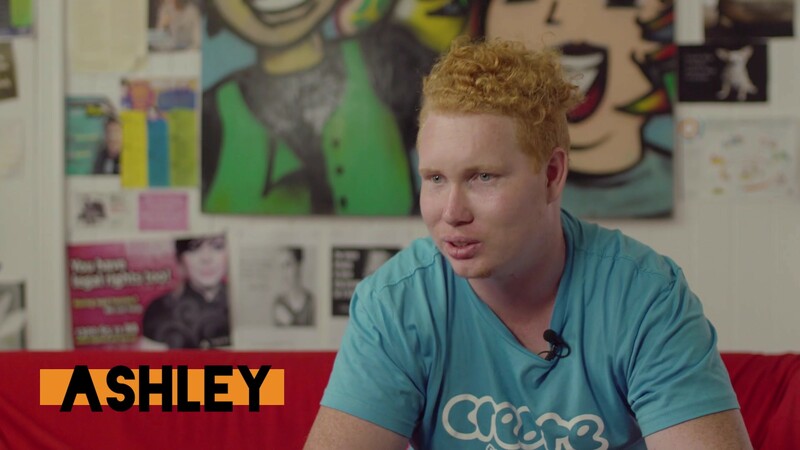 CREATE would like to thank Ash for sharing his story and all of the young people who shared their experiences and perspectives to help make Youth Justice Report possible.